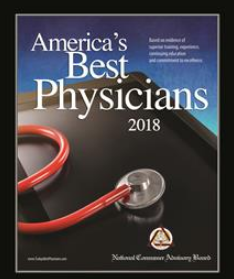 Micro-Botox has now landed in Dr. Jeffrey Rosenthal’s office. 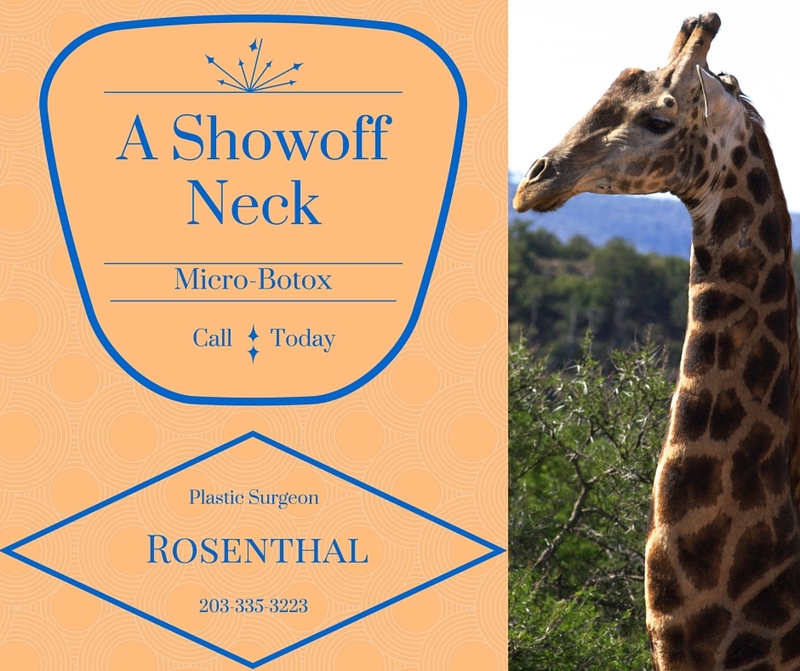 Dr. Rosenthal designs a pattern onto your neck and injects minute quantities Botox (Micro-Botox) into the skin to smooth, tighten and rejuvenate the quality of the neck. 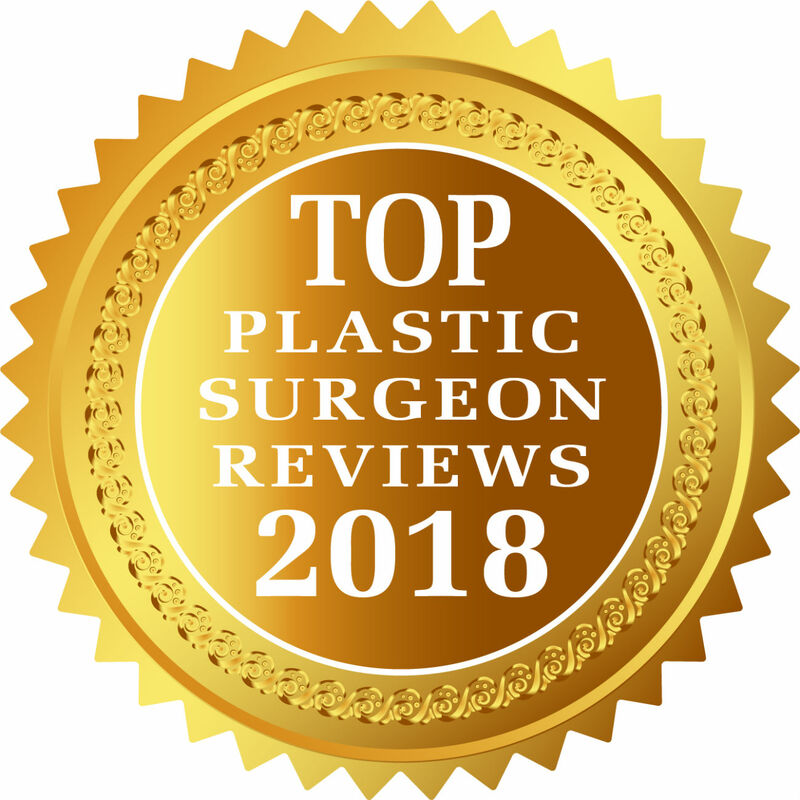 Unlike the standard Botox injections in the forehead and neck muscles, used to soften wrinkles or raise uneven eyebrows, Micro-Botox targets skin irregularities. Tiny blebs or micro-bubbles of Botox are meticulously placed within the upper layers of the skin to create a soft, luxurious skin quality along with enhanced tone. Watch in amazement as your cobblestone neck skin smooths, the pores shrink and the skin tightens. Note: Quality of skin is softer, smoother and rejuvenated. The bulge under the chin is gone. 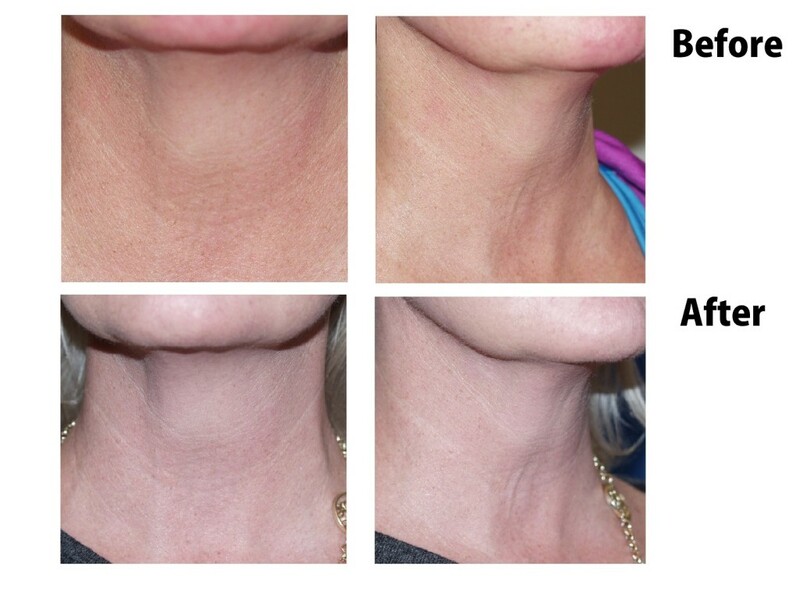 Micro-Botox is best for necks that do not have large amounts of excessive skin or muscles that hang. 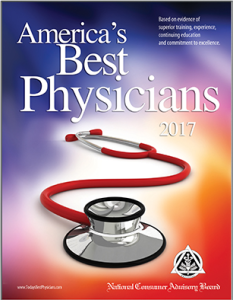 Necks that have skin and muscle imbalance see a dramatic improvement with a Facelift which tightens, lifts and smooths the neck and jawline. With Micro-Botox you will see visible improvements within days of these relatively painless injections. Who does not want a radiant neck? Now, Dr. Rosenthal has refined techniques that grant you this long awaited wish. 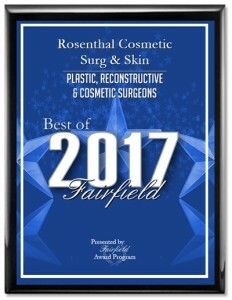 Sculpting with this technique enables Dr. Rosenthal to stream thin layers of facial fillers to preselected target areas of the face and hands. The blunt needles gently deposit these products producing less bruising, minimal discomfort in a precise and measured manner. Note: Before micro-botox to brows shows uneven contour and much lower left brow. After shows relative balance to brows, smooth forehead and eyes more alert and refreshed looking. 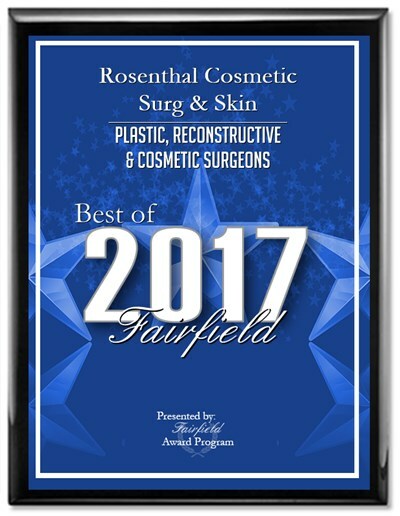 Micro-Streaming is part of the “Rosenthal Liquid Facelift” that utilizes artistic modeling to build up areas of the face that have lost the support of the deeper fat, muscle and bone. Utilizing products such as Radiesse, Voluma and Juvederm, that are very compatible and accepted by the body, the cheeks are lifted, the depressions under the eyes softened, the backs of the hands smoothed and the lips are volumized all of which support and lift the mid-face. Micro-Botox utilizes minute bits of Botox to contour the forehead, lift the brows and enhance the skin quality. It is an amazing way to relax the upper face and lift the outer brows. The resulting diminished wrinkles, smoother skin and shapely eyebrows look amazing.